If you are overweight, it becomes even more difficult to lose weight at a gym while running on a treadmill. Running on a treadmill takes a large tole on a person’s knees and is difficult to sustain for long periods of time. But the ‘Best elliptical trainers‘ are great fitness machines that will help you to lose weight without putting a strain on your body. Elliptical machines are great home gym equipment because you are not only using your legs to burn calories, but you are using your entire body to burn calories. The Sole E35 Elliptical Trainer is one of the most reasonably priced ellipticals for home gyms. 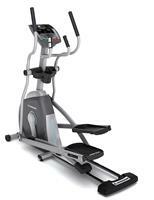 Sole E35 has high-quality construction and features that’s why it sits on Top of the Elliptical Trainer market. This perfect elliptical machine has established a very solid reputation for itself in the consumer market. 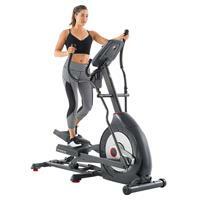 The best rated elliptical machine is very well-designed, solid and flexible and provides a killer elliptical workout. We highly recommend you this awesome elliptical trainer. Schwinn is a reputed company and has a good experience both for mobile and stationary bicycles. The variation of the idea of a bicycle is the main technology behind an elliptical trainer. 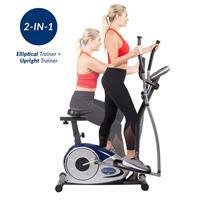 Schwinn has developed high-quality exercise equipment, and their top-rated elliptical machines are equal to the status of their awesome recumbent bikes. Schwinn 430 elliptical trainer is a really lovely and quiet elliptical trainer that I enjoyed very much working out with it. 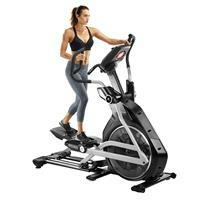 Schwinn 430 is also the most popular front drive elliptical machine and quite affordable for most of the people. If you are looking to work out your legs without going to the gym or want an elliptical trainer without compromising the room space then Stamina InMotion Elliptical Trainer should be your first choice. The Body Champ Cardio Dual Trainer offers a great workout, especially for the price. It provides versatile functions as both an Elliptical Trainer and Upright workout Bike. The advanced magnetic resistance system provides smooth and quiet rides. A DELUXE programmable LCD console features 12+ preset exercise programs that include user-customizable programs, and heart-rate-driven programs. You can do hassle-free adjustment to switch from mode-to-mode. 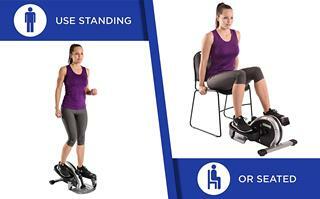 The seat of this Body Champ Trainer can be adjusted both horizontally and vertically for optimal comfort. 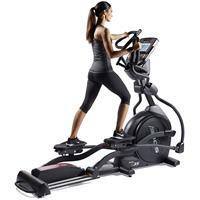 This Cardio dual machine has a 14-inch stroke length. Weight capacity of this awesome machine is 250 pounds. 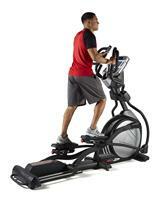 Bowflex E216 Elliptical Trainers burn RATE console focuses on the total calories that you are burning every minute. 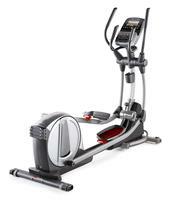 The Bow flex results Series elliptical machine was built from the ground up to meet your fitness needs. This elliptical trainers console has an extra large 9″ full-color liquid Crystal display and 11 intuitive “push and Go” workout programs. 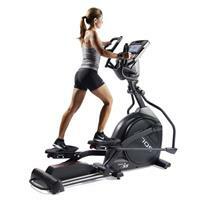 Again the Bow Flex is the most highly decorated and Award-winning elliptical trainer in their respective classes. Another Best Elliptical Trainers for home use is the Proform Smart Strider Elliptical Trainer. This trainer is perfect for anyone living in an apartment or trying to make. Many trainers are this price category will feature very few training programs, not the ProForm Smart Strider Elliptical Trainer. You get 6 programs on this trainer and it also features an automatic adjustment feature that allows you to change your resistance to keep you at your desired level without interrupting your workout. Few elliptical trainers will show you this feature at this price level. According to Best Elliptical Trainers for home use reviews the Sole E95 Elliptical Trainer is a preferred brand of equipment for the Hilton hotel chains. Hilton did their customer research and found that Sole has the best warranty and durability, they know that when people stay at a hotel they are on either business or vacation. Hilton wanted a low impact elliptical machine that would help guest work off those extra vacation pounds or help relieve some stress due to traveling. Elliptical machines have been given a bad rap because of their stride length. 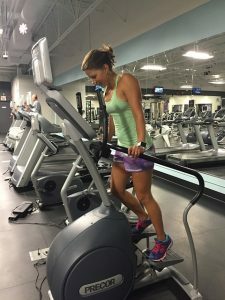 Treadmills have been given a pass because they are a solo functional. But the Sole E55 Elliptical Trainer has a 20-inch stride that gives you the freedom to expand your gait for a full lower body workout while including vertical handlebars so you can work your upper body at the same time. If it’s state of the art you need, then you must check out the Horizon Fitness EX-59 Elliptical Trainer Review. This trainer has all the latest technology including surround sound speakers with MP3 compatibility and even a built-in fan to keep you cool whilst training. There’s also a huge 10 levels of resistance that allow you to perform lots of different workouts on the one machine. Best Fitness Cross Trainer Elliptical Trainer reviews offer a full body workout and it is ideal for home gyms and workout areas. Additional information Synchronized in this treadmill is armed 5-panel LCD display transport wheels Feedback for time, distance, speed, calories, and heart rate. Its Weight is 106 pounds User capacity: 225 pounds Dimensions: 45L x 26W x 66H inches About Body-Solid Body Solid has been making high-quality strength training and exercise equipment for over 20 years.